Our popular Jack the Joker Fundraiser will continue this Sunday night in Kennedy’s Live at 8pm where the Jackpot will be €4,164 as on Sunday night Kay O’Connor was drawn out of the drum but did not find the Joker, however he does win €50 plus a bonus of €250 as she won the Bank Holiday Bonus for turning a picture card, while Tony Mahoney and Mairead and AJ won €25. We appeal to all our supporters to continue purchasing the tickets as the funds raised will go towards our ongoing development works at the club grounds. Our club has teamed up with Brickey Rangers in a novel fundraising event called “The Brawl in the Hall” organised by White Collar Boxing. The official launch took place on Saturday last at Bushy Park with a weigh-in and opponents coming face to face for the first time. Training will commence in the near future so all boxers will be in prime condition in time for the big night. The event takes place on Saturday, 15th December at Dungarvan Sports Centre with tickets priced at €10. These will be available shortly. More details to follow in the coming weeks. On Saturday evening last we traveled to Leamybrien to take on Kilrossanty in the final of the County Football League. Unfortunately despite making a good start to the game we were defeated on a score of 2:12 to 2:08. TEAM: S. ENRIGHT, B. LOOBY, G. BREEN, M. LAVAN, R. FOLEY, S. O’HARE, P. LYNCH, R. SHEEHAN, P. HURNEY, S. BRIGGS, M. FERNCOMBE, E. COLLINS, M. GORMAN, G. HURNEY, J. O’BRIEN. SUBS: J. POWER, L. HURNEY, A. LANDERS, D. COLLINS. We would like to wish Gary Hurney a speedy recovery from the leg injury which he sustained during the game. Notification for the upcoming AGM which will take place on December 8th in Abbeyside School has been delivered to all members. Any member who supplied an email address on their membership form earlier in the year will have been notified by email. If any member failed to receive notification, please contact the club secretary to obtain notification. Our club bingo will continue in the CBS Hall this Sunday night where the Jackpot is €1,800. We would ask all members to check the rota to see what nights they are due to help with clearing the hall after the bingo. Last Saturday week, our U8s won the Langan Cup after games against Mount Sion, Lismore and St. Finbarr's, Cork. Below is a selection of photos of our successful U13 Hurling & Football Panels that won the Western & County Titles this year. Camogie outdoors finished up on the 19th October. There will be no indoor training this winter, outdoor training will recommence early next March. 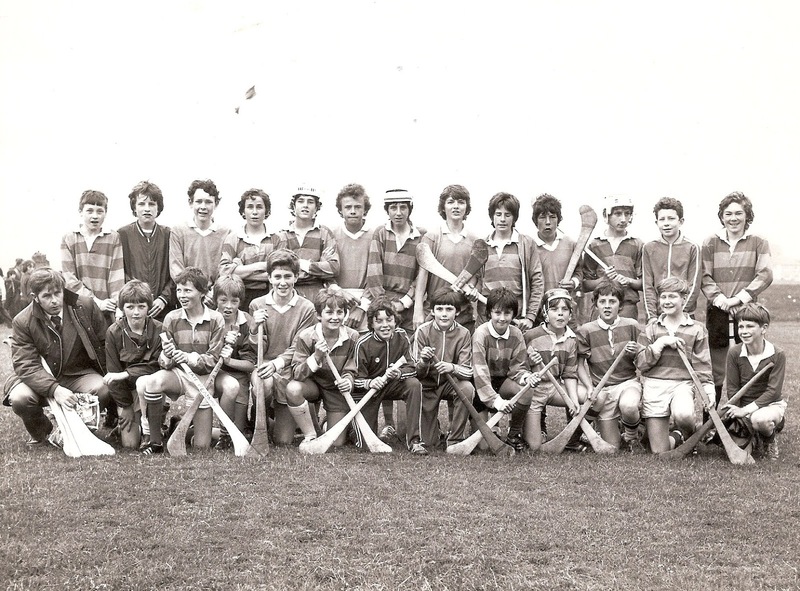 Standing (L to R): A. Barron, M. O'Flynn, D. O'Connor, G. Looby, J. Kiely, R. Cashin, N. Cashin, S. Feehan, T. Ó Faoláin, J. Mulligan, J. O'Dwyer, J. Moloney. Kneeling (L to R): M. Hanrahan, S. Fitzgerald, P. Enright, J. Kiely, J. Burns, E. Cashin, J. Power (Capt. ), M. Kiely, F. Shields, M. Fraher, K. Mulvihill, T. Wade. Seated (L to R): D. Looby, P. McGovern, J. Healy. 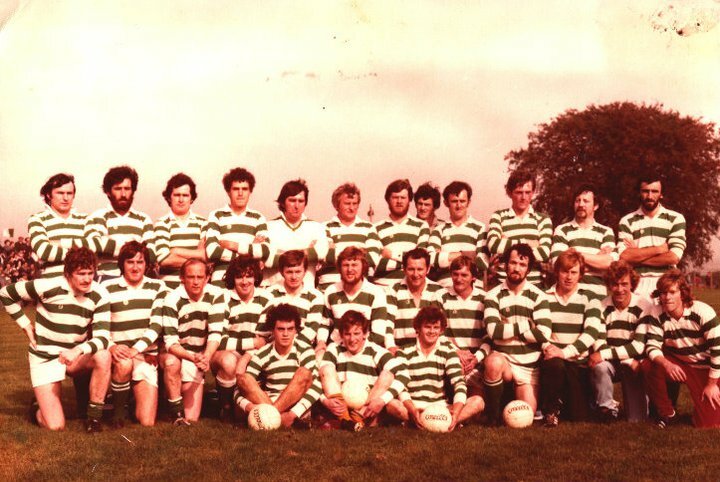 This week's photo shows the Ballinacourty Senior Football team that retained the County Championship in 1979. Wins over Rathgormack, Ardmore and Dunhill set up a final meeting with Ferrybank at Fraher Field in October. After a titanic struggle, Ballinacourty emerged victorious by a single point, 1-12 to 1-11. To win two county titles in succession left no one in any doubt as to the quality of this group of players. A procession that evening to Ballinacourty was followed by a reception in St. Laurence's Hall, Ballinroad. The following night was the occasion of a big celebratory parade through Abbeyside. Our popular Jack the Joker Fundraiser will continue this Sunday night in Kennedy’s Live at 8pm where the Jackpot will be €3878, as on Sunday night Charlie Crotty was drawn out of the drum but did not find the Joker, however he does win €50 while Moira Mansfield and Clodagh Kiely won €25. We appeal to all our supporters to continue purchasing the tickets as the funds raised will go towards our ongoing development works at the club grounds. There will be a meeting of the club committee on this Thursday, October 25th at 7:15pm in the club grounds. Our club bingo will continue in the CBS Hall this Sunday night where the Jackpot is €1,750. We would ask all members to check the rota to see what nights they are due to help with clearing the hall after the bingo. On Saturday 20th October, our U8s hosted the Langan Cup, competing against the finest that Waterford and Cork had to offer in Mt. Sion from the east, Lismore from the west and representing Cork were St. Finbarr’s bringing two teams with them on the day. The games started at 11.30 with teams of 12 aside all to play each other in games of 16 mins per game. A total of 83 scores were witnessed throughout the tournament with fine individual and team performances on show for all to see. Abbeyside ran out winners on the day ensuring that they kept the silverware in the village for the next 12 months. Congrats lads and well done on a strong team effort. Many thanks must be given out to everybody involved starting with the referees Eoin Kiely and Eamon Crotty who were given late notice the night before but were delighted to help out. Thanks lads. Thanks to the parents yet again who supplied food for the travelling teams and to the mothers who served it up. Your support is much appreciated. Thanks to the club for supplying crisps and drinks for 80 children and to the teams that travelled from afar to make this event an enjoyable one. But most of all to the Langan family who was represented by Mary Rossiter, June McShane and June’s son Padraic and grandchildren Rosie, Sally and Sarah who presented to cup to the villagers on a beautiful sunny afternoon. Thanks to all involved on the day from the U8 squad. Coláistí na nDéise suffered their first defeat at the hands of the mighty St. Flannan’s on a scoreline of 0-16 to 2-9. Coláistí were minus the services of a number of players on the day. Next up is Gaelcoláiste Mhuire. More details in the coming weeks. Last Friday night was our last night at outside training a small amount of camogie was played after which all players retired to the committee room for a small party and a trophy for each girl. The girls were presented with their trophies by Abbeyside and Waterford ladies footballer Aoife McGovern. This was quiet the event for our younger girls as it gave them a chance to get up close and personal with a county star, thanks again to Aoife for taking time out to be with us on the night. On Saturday morning last our U13 girls travelled to St. Anne's to play in the last blitz of the season. 3 games were played in all and great team performances were seen from all the girls. Well done to all. On Thursday night the 25th our AGM takes place in the club house at 8.00pm sharp and all parents and guardians are asked to attend. Back Row (L to R): J. Moore, J. McGovern, O. Wright, R. Moloney, D. Hogan, J. Morrissey, C. Clancy, P. Dee, J. O'Mahony, J. Keohan, D. Coleman, F. Prendergast, M. Kelly. Front Row (L to R): T. Mansfield, M. Kiely, I. Pericho, B. Harnett, M. Collins, J. O'Riordan, P. Mullaney, M. Terry, G. O'Connor, A. Organ, T. Organ, J. Collins, G. Collins. 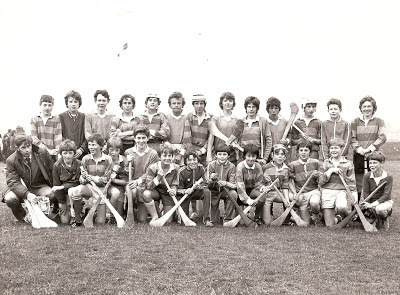 This week's photo shows the Abbeyside U14 team that captured the Western Hurling title in 1977. A first round win over Tallow saw the young lads qualify for the Western Final against near neighbours, Dungarvan. A 5-3 to 1-1 victory meant a third divisional title for the club at this grade. 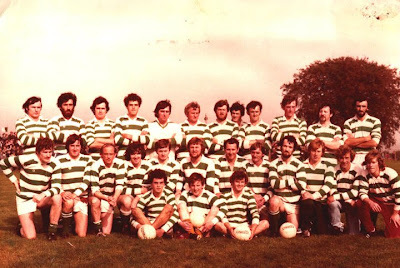 Defeat to Mount Sion in the county decider was avenged one month later as the footballers beat the Monastery men, 1-7 to 3-0, after a replay in the county final played at Fraher Field. Our popular Jack the Joker Fundraiser will continue this Sunday night where the Jackpot will be €3,570 as on Sunday night Fergal Fraher was drawn out of the drum but did not find the Joker, however he does win €50 while Andrew Norris and James, Jack and Joey won €25. This week the draw will return to The Stables Bar. We appeal to all our supporters to continue purchasing the tickets as the funds raised will go towards our ongoing development works at the club grounds. On Saturday evening last our Senior Footballers were defeated by Stradbally in the Semi Final of the County Championship in Fraher Field. Over the last number of years there have been some very good games between these sides and Saturday’s game turned out to be another fine game of football at the end of which we had to give best to a very good Stradbally team on a score of 2-12 to 0-12. On behalf of all in the club we would like to thank the players and management team for all the hard work and commitment they have shown throughout the year. TEAM: S. ENRIGHT, M. LAVAN, J. PHELAN, M. POWER, R. FOLEY, P. LYNCH, C. MOLONEY, S. O’HARE, S. BRIGGS, M. GORMAN, M. FIVES, P. HURNEY, J. O’BRIEN, G. HURNEY, M. FERNCOMBE. SUBS: G. BREEN, J. O’MAHONY, J. POWER. There will be a meeting of the club committee on this Thursday October 18th at 8pm in the club grounds. Our club bingo will continue in the CBS Hall this Sunday night where the Jackpot is €1,700. We would ask all members to check the rota to see what nights they are due to help with clearing the hall after the bingo. Coláistí na nDéise continue the defence of their title today when they take on St. Flannan’s in Cashel at 2.30pm. This is the lads’ third game and with two wins already, they are in a good position. We had a wonderful day out last Saturday in our club grounds, where we played for both the Danny Lenihan and the Joe Flynn Memorial Cups. The under 10 and the under 9 age group were divided into four teams with 8-9 players on each team and all three games were 15 minutes a side, the hurling was very good from all the teams with just a few scores separating the teams in each game. The Danny Lenihan Cup was presented by Mrs Lenihan to the winning captain DJ Kiely and all his team mates with the Joe Flynn Cup presented by Benny Flynn to the winning captain Niall Buckley and his team mates. A special thanks to the young whistlers, Juvenile chairman Larry and club Chairman Tony, to the catering crew on the morning, and everyone that helped out, and a special thanks to Carmel our hard working juvenile secretary. We are not finished yet for the season, hurling training continues every Wednesday with a few more games still to play, weather permitting. This Friday evening will be our last evening outdoors. We would ask all parents to stay Friday as we have our end of year celebrations. Our AGM will take place in the club committee room on Thursday, 25th October. We are requesting all parents to attend. The final blitz of the year is for our under 13 age group. All u12 plus our u13 girls are requested to be at pitch at 9.15 on Saturday morning to travel to St. Anne's on the day. Games will be played against St. Anne’s, St Molleran’s and Clonea Power. 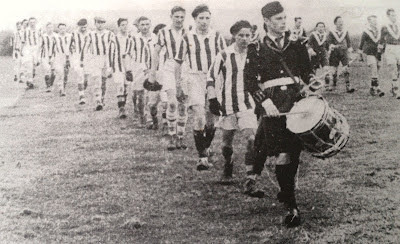 Ballinacourty Players (R to L): J. Hogan, J. Power, G. Morrissey, M. Foley, J. Morrissey, J. Terry, T. Hogan, J. O'Connor, G. Foley, P. Whelan, M. Burke, A. Flynn, M. Farrell, D. O'Connor. 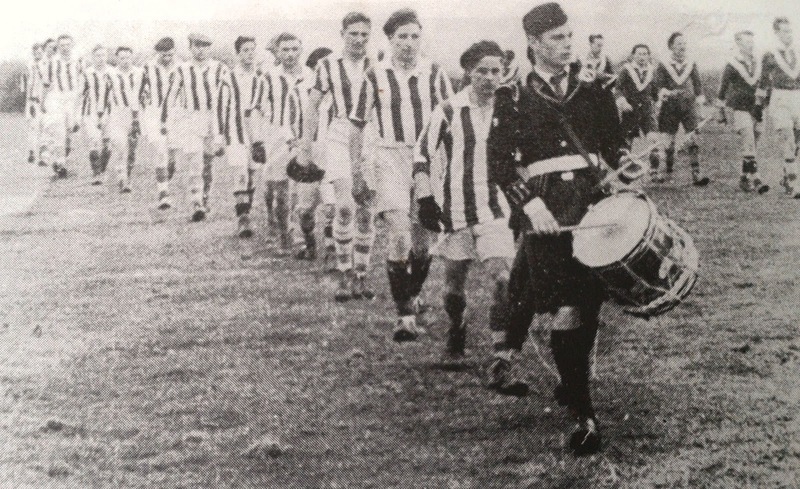 This week's photo shows the Ballinacourty and Kilgobnet football teams taking to the field for the final of the 1954 Kilgobnet Tournament. Oliver Veale of Dungarvan Pipe Band leads the way. Our popular Jack the Joker Fundraiser will continue this Sunday night in The Parish Office at 8pm where the Jackpot will be €3,254 as on Sunday night Sean Kiely was drawn out of the drum but did not find the Joker, however he does win €50 euro while Sean McGrath and Claire Cosgrave won €25. We appeal to all our supporters to continue purchasing the tickets as the funds raised will go towards our ongoing development works at the club grounds. On Saturday afternoon last our Intermediates contested the Western Final against a very strong Ballinameela side and despite putting in a very spirited display we were defeated in a good sporting game of football. Whilst defeat was our lot on the day we must thank the players and management team for their commitment and effort throughout the year as it was a fantastic achievement to reach the final with such a young side. We would like to wish Tom Hanrahan a speedy recovery from the broken collarbone which he sustained early in the game and also wish Ballinameela the very best of luck in the County Final. SUBS: C. KINDREGAN, D. FERNCOMBE, E. ENRIGHT, E. BERGIN. This Saturday evening we take on Stradbally in the County Semi Final in Fraher Field at 4pm. All support for the team would be greatly appreciated. There will be a meeting of the club committee tonight, Wednesday October 10th at 8pm in the club grounds. On behalf of all in the club we would like to wish our near neighbours Dungarvan the very best of luck ahead of the County Senior Hurling Final this Sunday. Our club bingo will continue in the CBS Hall this Sunday night where the Jackpot is €1,650. We would ask all members to check the rota to see what nights they are due to help with clearing the hall after the bingo. Last Friday saw the final night of the under 12 Football League. We played Dungarvan in Dungarvan. We played with a lot of determination from the start and notched up some quick goals with some of the opening plays. At half time we switched our forwards and backs and rotated our subs throughout. This was a strong display by the Ballinacourty boys. Panel: Shane Kiely, Daithi Brunnock, Johnny Treen, Meldan Dwyer, Jamie Walsh, Michael Kiely, Senan Travers, Patrick Fitzgerald, Jake O’Riordan, Dean Beresford, Eoin Ahearne, Ethan Raher, Michael Troy, Ben Flynn, Oisin Hallahan and Sean Roche. Coláistí na nDéise continued the defence of their Harty Cup crown with victory over St. Caimins, Shannon on a scoreline of 3-12 to 0-11. This gives the boys two wins from two games. Next up for the boys is St. Flannan’s of Clare, next Wednesday the 17th. Well done to all of our club members on the panel. We have the annual Danny Lenihan hurling tournament this Saturday in our club grounds, all players to be in attendance for 10.30 am. Our under 10's travelled last Saturday to St Finbarr’s in Cork for the John 'Bawnie' Mehegan Perpetual Hurling Tournament, this prestige tournament has been run for the last three years where four clubs St Finbarr’s, Blackrock, Durlas Óg, and Abbeyside had two equal teams of twelve competing and it is the best aggregate of the two teams which counts on the day. We had to call on the under 8's to make up the two teams as only four of the under 9's were available on the day and my God did the nine and eight year olds step up to the mark. Both our teams played the Rockies in the first game and we ran out winners in these games. Our next opponents were Durlas Óg and again we had some great performances here from all the players, where one of our teams won and the other had a draw. Our last game was against the host team and both our teams dug team to run out convincing winners. We then had the medal presentations to all the teams for participating, then and our winning captains on the day Tony Dwyer and Colin Foley received the John Mehegan Cup. Well done to all the players and especially the younger ones which travelled on this most enjoyable day and the experience gained can only help them develop in the future, thanks to Justin, Michael and Eddie and to all the parents for travelling and a special thanks to the Barrs for the invitation and the catering on a great day out. Our panel for the day: Calum Beresford, Alec Norris, Eoin Flynn, Colin Foley, Tony Dwyer, Tadgh Collins, DJ Kiely, Jack Riordan, Niall Buckley, Jamie Moylan, Daniel Treen, Darragh Slevin, Sean O Sullivan, Ben O Donovan, Stephen Lake, William Beresford, Oisin O Riordan, Conor Kent, John Joe Queally, Jack McGrath, Eoin Kiely, Charlie Treen, Charlie Gough, Fergie Slevin, Michael Walsh, Edmond Spratt, Rian Cosgrove, Sean Callaghan, Thomas Nee. Due to the evenings drawing in training will be on at 6.00 to 7.00 on Friday evening for the next two weeks. Friday the 19th is our last evening outdoors. On that evening we will be having our medal presentation we would like as many parents as possible to attend on this evening. Congratulations to Michelle and Darragh Kiely on the birth of their baby boy Gary, a brother for Moya, Shuin and Colum. Aoibhinn Murray was the lucky girl who was drawn out of the Kelloggs Cúl Camp draw on the 10th of October. Along with lots of boys and girls from all over Ireland she gets to go to Croke Park for a day of fun and activities. On October 20th there is one last blitz this is for girls in the U13 age group more details to follow. Last Saturday morning took us to the lovely town of Lismore to play games against Ring, Lismore and Ballyduff Upper. A great morning’s hurling was had by all and it’s great to see how far our girls have come since training began last March. This week's photo shows Abbeyside forwards D. McGregor (left) and A. Kiely (right) bearing down on the St. Garvan's goalkeeper, J. Foley during their Junior Hurling Championship first round clash at Fraher Field on April 3rd, 1955 while a very attentive umpire looks on. Abbeyside won a tight game by 2-4 to 1-5. Our popular Jack the Joker Fundraiser will continue this Sunday night in The Parish Office where the Jackpot will be €2,978 as on Sunday night Liam Briggs was drawn out of the drum but did not find the Joker, however he does win €50 euro while Mary O’Halloran and Niamh McGrath won €25. Ticket sellers can hand their tickets into the Parish Office from 7:30 pm to 8 pm. We appeal to all our supporters to continue purchasing the tickets as the funds raised will go towards our ongoing development works at the club grounds. This Saturday we play Ballinameela in the Western Final in Fraher Field at 5pm. We ask all our supporters to get along to the game and cheer on the team. On Saturday afternoon last we took on St. Carthage’s in the Western Final in Cappoquin. We got off to the worst possible start to the game as our opponents struck for two early goals but to our lads’ great credit they didn’t panic and battled back into the game and were arguably the better team for the last 40 minutes but we couldn’t get through for the goal that could have led to victory. We congratulate St. Carthage’s on their victory and wish them well in the County Final. All in the club would like to thank the players and management team for the commitment they have given during the year which saw them claim the County Football Championship and reach the Western Hurling Final. One final thing to consider when mentioning this team is that throughout the hurling campaign our centre back Maurice Power has given fantastic performances and indeed on Saturday he maintained these excellent standards, which makes the decision not to include him on the County Under 21 hurling panel this year all the more extraordinary. If there are 26 or 27 better under 21 hurlers than him in the County then the future of Waterford hurling is very bright indeed. Our club bingo will continue in the CBS Hall this Sunday night where the Jackpot is €1,600. We would ask all members to check the rota to see what nights they are due to help with clearing the hall after the bingo. The next meeting of the Club Committee will take place on Wednesday October 10th at 8pm. On Saturday week last at Fraher Field our U-14 hurlers contested the Div.4 County Final against a strong and committed St. Molleran’s side. The game was in the balance for much of the fifty minutes but the young Abbeyside boys showed true grit and determination to see off the challenge of the Eastern country club with a margin of six points at the final whistle. Indeed it was the ever evident team spirit which helped our boys to victory with a never say die attitude. Abbeyside started the game at a high tempo and soon saw themselves five points clear albeit with the aid of a strong breeze. All five forwards linked well together to create space and opportunities for scores and to their credit each of them passed unselfishly to the player in the better position in order to achieve those scores. Meanwhile at the other end our goalkeeper had to be on his toes to prevent St. Molleran’s long range efforts from reaching the net. Three great saves from just under the crossbar kept Abbeyside firmly in control of the game. The fact that the Eastern side were reduced to long range shots was largely due to the tight marking of all five Abbeyside defenders and our midfield partnership duly worked tirelessly to link defence and attack in that first half. However, as the first half drew to a close both sides exchanged goals and it became obvious that St. Molleran’s were going to fight all the way for the title. Another goal towards the end of the first half brought St. Molleran’s to within two points and so despite having the lion’s share of the position in that half We found ourselves just two points ahead at the interval. Facing a stiff breeze in the second half it was hard to see how the young men from Abbeyside would hold on to their slender lead. The second half took on a similar pattern to the first with Abbeyside winning the battle in the early exchanges but gradually the boys from the East began to pick off some long range scores with the aid of an ever stiffening breeze. However, the true spirit of this team came to the fore when we fell behind by two points midway through the second half. Where many a team would have fallen into the trap of giving out to one another when things are not going your way, it was fantastic to witness each and every player rally behind one another with shouts of encouragement. The young boys got their just rewards with ten minutes remaining when a move which began with a fine save from our goalkeeper, worked its way from our backline, through midfield and into our forwards and the ball was sweetly despatched to the back of the net. Having gained the momentum our lads were determined not to relinquish the lead again. With two points between the sides and just minutes remaining we were awarded a free some 25m from the goal. 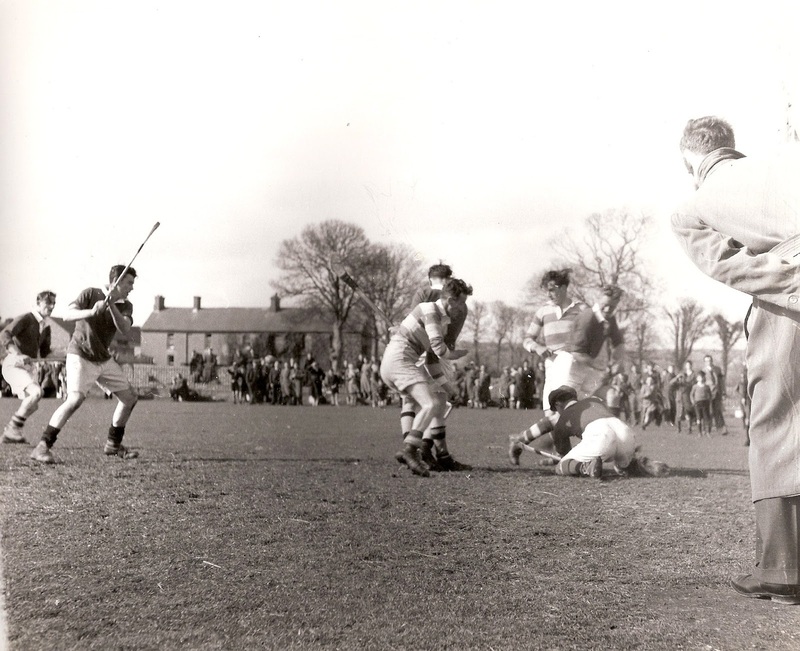 In true ‘Brian Cody style no instruction was given from the side-line – the player’s decision and the correct one as the sliotar was expertly despatched the back of the net. Another point scored on the call of full-time saw the Abbeyside boys run out deserving winners on a score line of 4-11 to 4-5. Straight after the game the team captain for the day, Tiernan Fagan, accepted the trophy on behalf of the team and in his speech he thanked all involved in this great achievement. He also paid tribute to the referee and his officials and to Bord na n-Óg and all at Fraher Field. The boys enjoyed the celebrations afterwards at McDonalds. Panel: John Power, Jack Dwane, Paddy Dwane, Cian Power, Meldan Dwyer, Jamie Walsh, Tommy Walsh, Paul Wade, Michael O’Riordan, James Riordan, Daithi Brunnock, Johnny Treen, Michael Kiely, Dean Beresford, Sean Kent, Jake O’Riordan, Tiernan Fagan, Cian Fagan, Ruairi Cusack, Cian Fagan. On Saturday last at Fraher Field our U13 hurlers contested the Div.1 County Final against De La Salle, our conquerors in the U14 division. De La Salle, playing with a strong breeze at their backs raced into an early lead with a couple of good goals. Abbeyside then pulled a goal of their own back to bring themselves back into the game. However, De La Salle went up the other end and grabbed a couple of more goals. After a tough 25 minutes, the half time score was 4-6 to 1-4 in favour of De La Salle. Abbeyside not playing as well as they could and De La Salle were finding scores easier to come by. Game over surely? Well if it was, no one told the Abbeyside boys. Playing with the breeze was always going to be a big help but the lads had an eleven point deficit to overturn. After a couple of substitutions and some positional changes saw Abbeyside begin to play the way they know best. The boys began eating into this lead with a couple of goals from Seán Crotty; who would go on to finish with an incredible 4-3 from play. He certainly wasn’t outscored by his marker today! The longer the game went on, the stronger Abbeyside got. The defence was outstanding, limiting De La Salle to just two points in the entire second half. Further goals from Seán Crotty and James Riordan finished the game for Abbeyside and there were joyous scenes as the final whistle blew. They had turned an eleven deficit at half time into a five point win. Abbeyside 5-10 De La Salle 4-8. This was a magnificent team performance from 1-15 and all the subs involved. With incredible scoring and some magnificent defending; Abbeyside produced it all in the second half. Well done boys on an outstanding performance overall. Well done also to the management team who have worked tirelessly all year with this team and have got their rewards. Straight after the game the team captain Bearach Moore, accepted the trophy on behalf of the team and in his speech he thanked all involved in this great achievement. The panel for the day was: Aaron Beresford, Jack Kiely, Shane Ahearne, Padraig Moore, Bearach Moore, Gearoid Hallinan, Tom Looby, Sean Whelan Barrett, Sean Crotty, David Montgomery, Mark Twomey, Fionn Gibson Kiely, John Power, Meldan Dwyer, Jamie Walsh, Tommy Walsh, James Riordan, Johnny Treen, Shane Kiely Michael Kiely. There were a number of school matches this past week involving many of our club members. On Wednesday last, Coláistí na nDéise began the defence of their crown with a win over Doon CBS on a scoreline of 3-13 to 1-13. It proved to be tough game for Coláistí na nDéise, who despite having a nine point lead at half time, needed a couple of late goals to ensure victory. Next up for Coláistí na nDéise is St Caimins today at 1.30 in Tipp town. Then on Friday last, St. Augustine’s College played Carrignavar from Cork in the U16½ championship in Old Parish. The Friary were slow to start and trailed at half time but produced an inspiring second half display to record a two point win on a scoreline of 2-16 1-17. Sunday morning the 23rd of September was a very memorable day for the People of Mayo and Donegal but it was an even more memorable day for James O Riordan the young Abbeyside boy travelled to Croke Park with his mun and dad to play on the hallowed turf at half time. Representing his school Scoil Mhuire Abbeyside his club and his parish was surely a memory that will live long in the memory of this young man. His mother a proud Kerry woman watched on as her son lined out in the Donegal colours.